Awesome location in Pace! This 3 bedroom 2 bath home in Pace is nestled on a peaceful half acre, not an easy find! Let the kids head off to school in Pace while you enjoy coffee in the back screened in patio. The kitchen has lots of storage, a Jennair stove on the island, built in oven and gorgeous granite counters. The breakfast area overlooks the large backyard. If you have the big family get-together planned for the holidays or the big game, have no fear, the formal dining room will be large enough to accommodate more seating! The living room boasts a pretty gas fireplace that you can turn on to take the edge off those chilly winter mornings and evenings and 2 skylights to let in all that beautiful sunshine during the days. Once the seasons turn warmer, you will be very happy to know the A/C is new and ready to take on the Florida heat! The master suite is situated off the kitchen with a view of the backyard with large windows. The master bath has a great corner jetted tub, oversize tiled shower and great walk-in closet. The opposite side of the house has the remaining two bedrooms, freshly painted, and the shared bath with new paint and flooring as well! 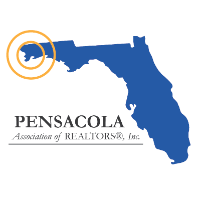 Close to shopping, groceries, healthcare and convenient access to area beaches, Pace is a lovely little bedroom community of Pensacola. This home has it all and is ready for you to make it your own!